Many people, regardless of their age, avoid estate planning for several reasons—the biggest of which is that it makes them uncomfortable. This is understandable, as thinking about one’s own death is frightening. However, despite how uncomfortable you may be with the process, it is in your best interest, as well as the best interest of your family members, to have a plan in place for when you pass. 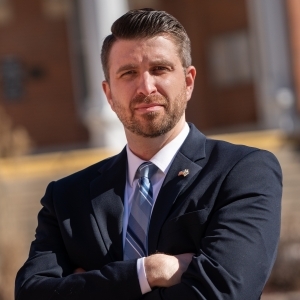 To make the process a little easier on you and your loved ones, retain the help of a knowledgeable and compassionate estate planning lawyer, like Trent West. You are in good health. Your children are grown and able to care for themselves. You do not have time to consult with a lawyer. As an experienced estate planning firm, we hear these excuses all the time for why clients put off planning their estates. But the truth is, they are just that—excuses. There Are No Guarantees in Life: Being young or in great health does not make you immune to death. Unfortunately, accidents, illness, and other unforeseen events happen. You need to be prepared for the unexpected and ensure that anyone who relies on you for financial support, emotional support, domestic help, childcare, etc., knows what to do in the event of your untimely passing. You Can Modify Arrangements at Any Time: Unless you create an irrevocable living trust, you can modify your will, trust, and other estate planning documents as you see fit. If you are young or middle-aged and in good health, our legal team can help guide you toward the best and most easily modified estate planning tool. Your Life’s Work is at Stake: Your estate planning efforts are not just for your beneficiaries—they are also for your own peace of mind. Your home, business, art collection, family heirlooms, and 401(k) all need a new home once you are gone. Your estate planning documents can ensure they go where you want them to go. Whether you are 80 and wish to finalize your will or are 45 and want to make sure your spouse and children are accounted for should you pass away unexpectedly, estate planning is for you. In addition to assisting you with an estate plan, we can also be a useful resource to help you manage an estate in accordance with the law. If you have been named the executor of an estate, don’t think the executor that has been appointed is doing their job correctly, or you want help with administering an estate for someone who did not have a will or trust, it’s important to seek professional guidance—as there are many complexities involved. From filing the required forms to protecting yourself from legal risk, we are your partner throughout the process. Our experienced estate law team can help you understand probate, small estate affidavits, distributions, how to handle outstanding debts, and more. No two estate plans look alike, as everyone’s needs vary depending on their income, assets, familial obligations, and other factors. If you have been named an executor of an estate or are ready to create an estate plan of your own, be sure to work with a lawyer who will take the time to examine your unique situation and guide you toward the resources that can meet your current and future needs. Contact the Law Offices of Glenn & West, LLC, today to learn more about how we can help you through this process.